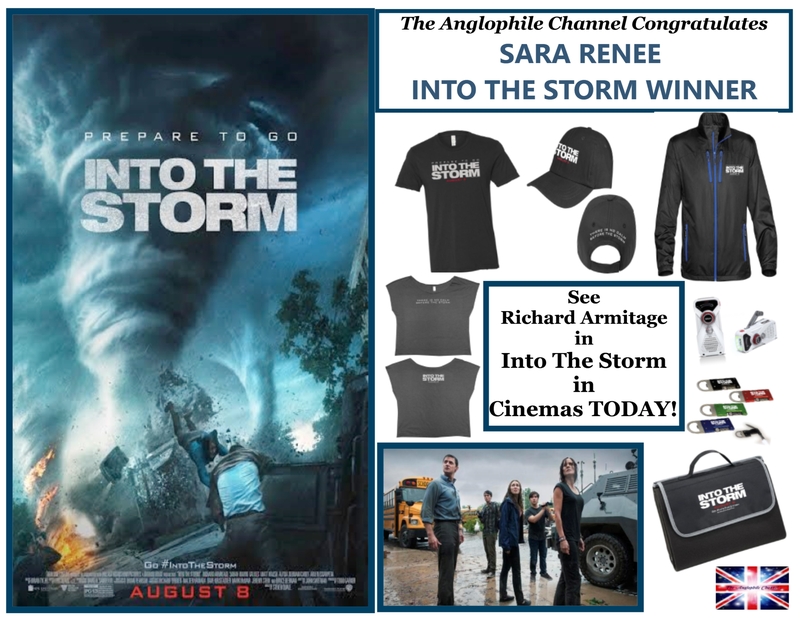 Thank you to ALL who entered and don’t forget to go see Richard Armitage in “INTO THE STORM” in theatres now! More contests and giveaways to come! 2. Leave a COMMENT below and tell us what you love most about Richard Armitage! 3. 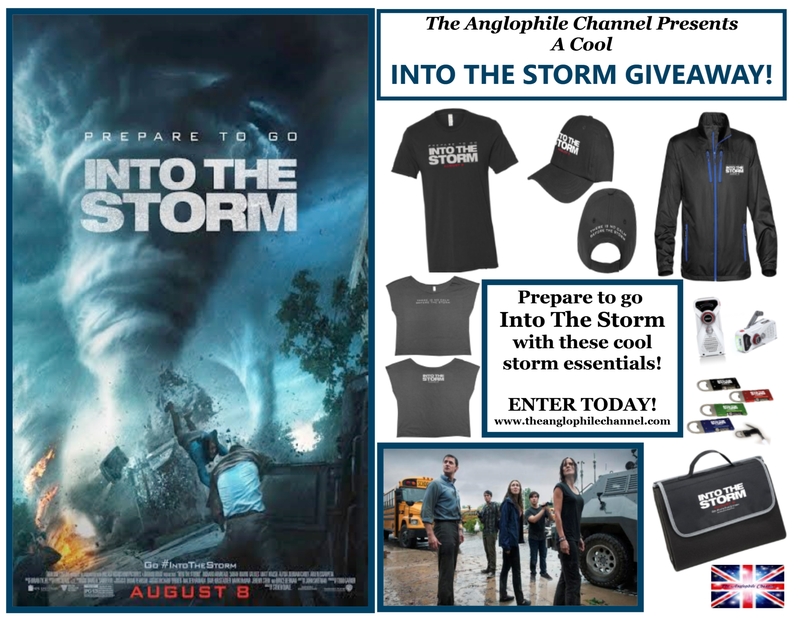 SUBSCRIBE to our YouTube Channel and check out our Into The Storm Oculus Rift Experience video. Leave a COMMENT letting us know what the biggest storm you’ve ever witnessed was! Contest Ends on Monday August 11th and Winner shall be announced on Tuesday August 12th at 12Noon PST. 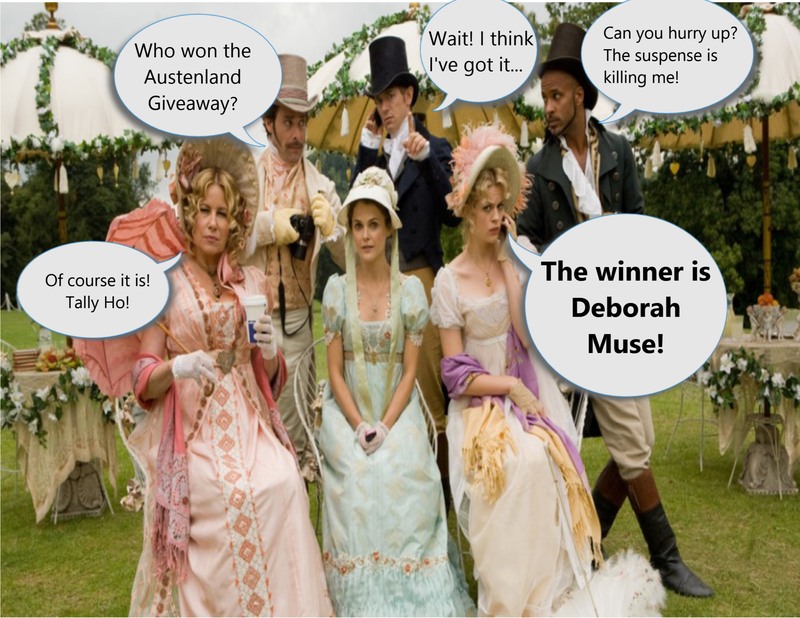 Contest open to ALL fans, subscribers of The Anglophile Channel! Oculus Rift Experience at Comic Con! While much of the storm itself was created digitally, practical effects were also extensively used to portray the force, power and destruction on the ground. A custom vehicle was built specifically for the film nicknamed the Titus. This tank-like vehicle has bulletproof windows and grappling claws that keep it grounded during 170 mph winds. 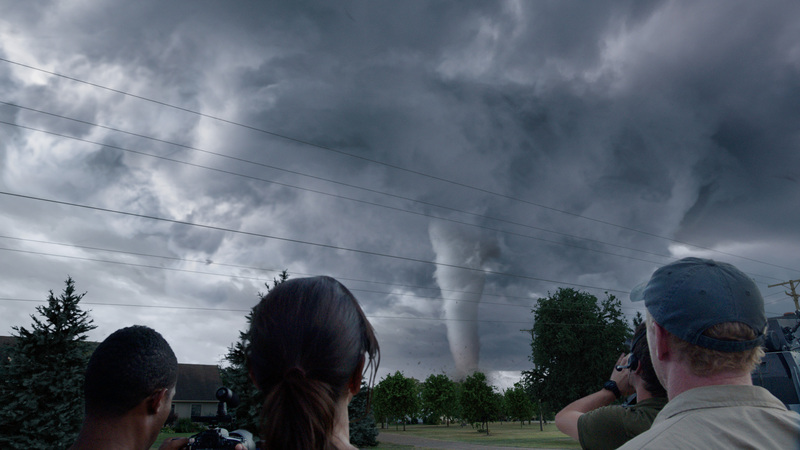 It also has 24 cameras that record footage for the storm-chasers used in the film. 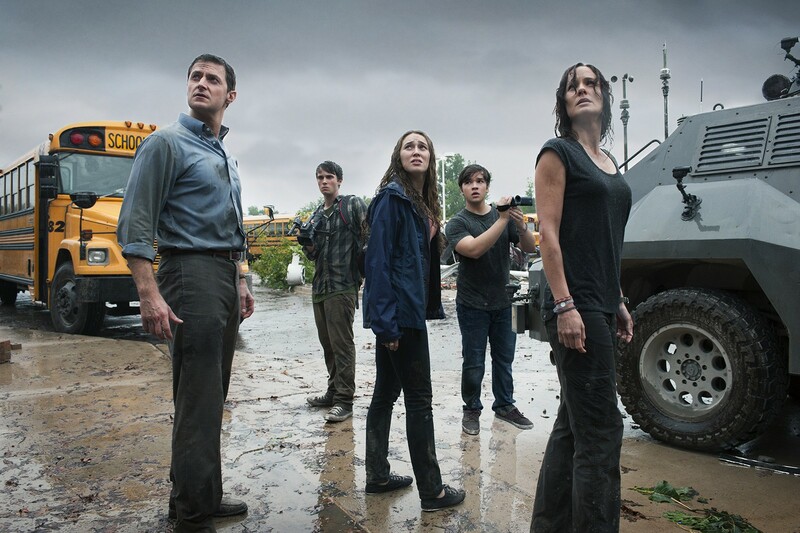 If the Into The Storm Oculus Experience was anything to go by, this film is going to rock your world! We truly felt like we were in the eye of the storm! 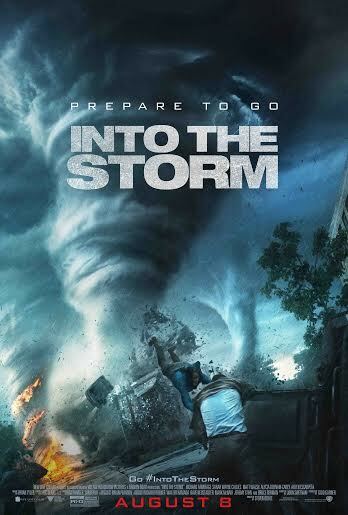 “Into the Storm” is an adrenaline thrill-ride that takes you directly into the destructive path of massive tornadoes, as told through the eyes and lenses of storm chasers running toward the vortex as well as ordinary people fighting to survive nature at its most extreme. The film stars Richard Armitage (“The Hobbit: An Unexpected Journey,” “The Hobbit: The Desolation of Smaug”), Sarah Wayne Callies (TV’s “The Walking Dead”), Matt Walsh (“Ted”), Alycia Debnam-Carey (“Where the Devil Hides”), Arlen Escarpeta (“Final Destination 5”), Max Deacon (“Hatfields & McCoys”), Nathan Kress (TV’s “iCarly”), and Jeremy Sumpter (“Soul Surfer,” TV’s “Friday Night Lights”). WALK THE RED CARPET WITH THE AUSTENLAND STARS! WIN TWO TICKETS TO THE HOLLYWOOD PREMIERE! 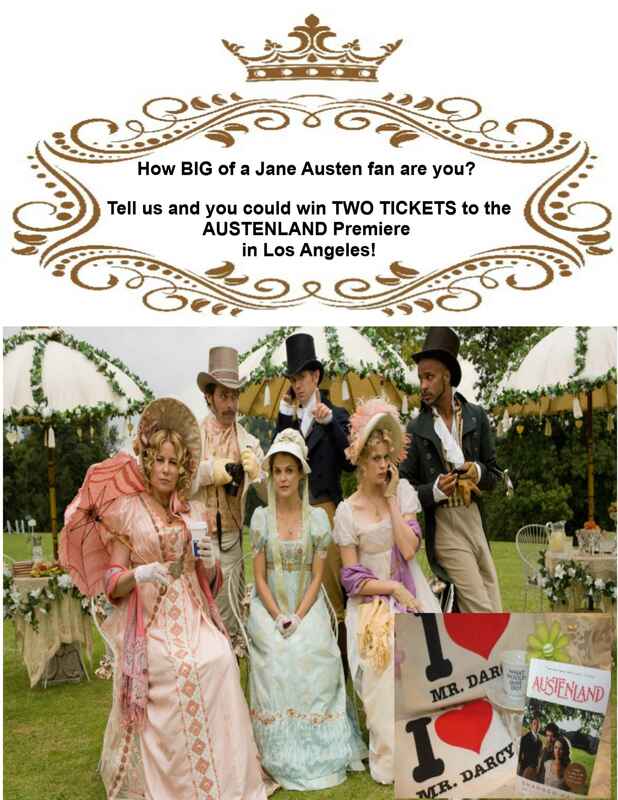 WIN Tickets To AUSTENLAND Red Carpet Premiere! WINNER OF HOBBIT GIVEAWAY ANNOUNCED! 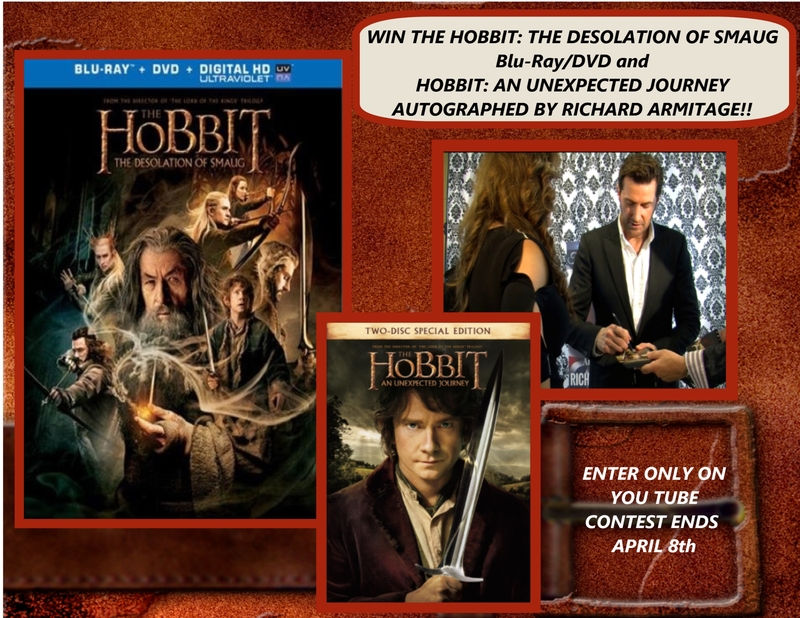 HOBBIT GIVEAWAY ANNOUNCED ON THE ANGLOPHILE CHANNEL FACEBOOK PAGE! I most like about Richard Armitage is that he still is some kind of a shy person. He seems to be very pleasnt and -what’s also really important to me- down to earth. What I like most about Richard Armitage is that he is a very versatile actor. He can play the villain and he can play the leading man. He really knows how to bring a character to life. What I love most about Richard Armitage is how he displays his insight, thoughtfulness, and sharp intelligence in every interview, offering fans/admirers the opportunity to learn about his process as well as glimpse the charming, kind, and consummately professional man behind his characters. I believe he is an exceptional talent as well as an exceptional man. Love Richard because he is such a gentleman and an excellent actor. His smoking hot good looks don’t hurt either. I love how expressive he is with his body language and facial expressions. He is so modest and quite the gentleman as well. I love his energy, he’s like a wound up spring ready to let go, but he controls it. Then there’s the voice … that toe curling baritone.